Get your TESOL certification while living the pura vida lifestyle in Heredia, Costa Rica. Known as the province of flowers, Heredia gives you the best of all worlds: wonderful nightlife, a safe environment, a true cultural experience and tons of places to explore. With our network of schools and job placement assistance, getting your certification in Costa Rica is by far the easiest way to get a job teaching English in Central America. Or, use your summer break to get your TESOL certification under your belt for teaching positions or programs once you graduate. The Costa Rica TESOL Certificate course is an intensive, in-person 190-hour ESL/EFL teacher training course which provides participants with the skills and confidence needed to succeed in the English language classroom. The TESOL Certificate you will receive is accredited and recognized worldwide. Cultural Immersion – A “real” Costa Rican experience in a small town. Wonderful Costa Rican food and people! Accredited – International TEFL Academy proudly uses a state-of-the-art curriculum written by a staff of highly experienced ITA professors for our Online, Chicago, Costa Rica, Nicaragua & Barcleona Spain courses. 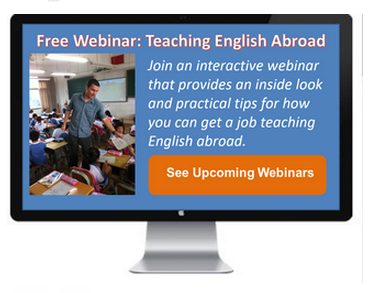 International TEFL is one of the global leaders in TEFL/TESOL curriculum, and trains over 3,000 students a year. The curriculum also meets internationally recognized requirements of a minimum of 100 hours of academic work and 6 hours of practicum (student teaching/observation) for a professional level TEFL certification. The locations listed are all ITA run organizations with the same curriculum and oversight. To ensure that our TEFL certification meets international standards in quality and deliverance, this curriculum has been externally monitored and approved for accreditation by TQUK, an officially recognized Awarding Organization that is recognized and regulated by Ofqual, the British Government body responsible for monitoring and maintaining educational standards in the United Kingdom. The curriculum also meets internationally recognized requirements of a minimum of 100 hours of academic work and 6 hours of practicum (student teaching/observation) for a professional level TEFL certification. * The British system (Ofqual) uses the term "regulated" which is synonymous with the TEFL industry term "accredited". These certifications are also on the QCF platform. The other term used is "approved" which is a lower level of oversight but is not what would be considered "accredited". These certificates are not on the QCF platform. Teach in Costa Rica* – Excellent school network and job placement assistance. Over 90% of course graduates find jobs teaching English in Costa Rica upon course completion. Students who register for any course in Costa Rica 60 days or more in advance will receive $150 early-bird off of the total course fee! Don’t miss out! Courses are limited to 12 students, and typically fill two months ahead of time. Register early to guarantee a spot on your desired start date. *These are the best courses to take as they end during the peak hiring seasons in Costa Rica! While there are plentiful job opportunities year round, peak hiring periods are in June/July and December/January. You must have a high school degree and show a capacity for college-level education including a good understanding of the English language and solid writing skills. All participants must show a serious commitment to learning, and a willingness to plan and teach in groups and to work reflectively. Early Bird Discount: $150 discount if you register 60 days before your course date! ($1,649) This discount will be reflected in the balance that you pay to the school not the deposit. Accommodations are not included because we have several different housing options depending on your preferences and budget. Greenheart Travel highly recommends the host family option, as it will give you a great support system, a location close to the school, and culture and language immersion! School staff will assist you in finding housing for your month of training. You can choose to extend the stay in your accommodation past the original month if you care to. The most popular choice, and highly recommended by Greenheart Travel. Live with a Costa Rican family within minutes of the school and build relationships that will last a lifetime. Get to know the “tico” culture and practice your Spanish daily at a very affordable price. Three meals per day are included. This is a wonderful choice for those looking for a modern, comfortable lodging choice at an unbelievable price. Located just 15 minutes from the Institute in Barva, Casa de Flores has four comfortable rooms available in a “shared living” experience. Each guest has a private room, and access to Internet, and access to the pool and garden area. What makes this lodging so special is that it used to be a B&B that has since been converted to 4 apartments. No meals are included with this option. The quietest and most private option. This option lets you go back to YOUR OWN place at the end of the day and unwind in whatever way you like. Great for people who like being around people, but who need to have their own sanctuary to “turn off” sometimes. Includes a large fully furnished apartment with kitchen and daily cleaning services and laundry facilities. Greenheart Travel Teach Abroad programs – if you meet the other program requirements, obtaining a TEFL certificate will qualify you for any of our excellent Teach Abroad programs. You’ll receive step-by-step assistance and support from your application to the end of your program. This is a great option for anyone who wants a little bit more structure, support, and community in their teach abroad experience. Personal guidance from an experienced Job Search Advisor – Expert Job Search Advisors are available to speak with you and correspond by email to address all of your questions and to assist you with every aspect of your job search from writing your resume/CV and cover letter, to coaching you on the interview process in different job markets, to helping you assess which destinations might be the best fit for you based on your preferences and qualifications. Local Costa Rica Job Search Guidance – During and after your course, local staff will do as much as possible to introduce you to the local ESL market here in Costa Rica. During the first week of the course, you will receive a packet of invaluable job search resources, including lists of schools and institutes in Costa Rica that hire foreign ESL teachers. The lists are categorized by students’ ages as well as school locations (ie, at the beach). Many of the possible employers, especially the language institutes, have a working relationship with the TEFL school, and happily hire course graduates regularly. Staff will recommend the schools and institutes with the best reputations, and to warn you of those without good reputations. Surveys are given to course graduates working in local schools and institutes to find out what the benefits of each school are and what type of environment it has. ESL job search manual: All graduates of the online course receive a manual detailing all relevant information for major job markets around the world, including hiring seasons, academic standards, and the interview process as well as templates for resumes and cover letters. This manual also incorporates extensive listings of online resources, including nearly 100 ESL international job boards listing thousands of teaching opportunities around the world. 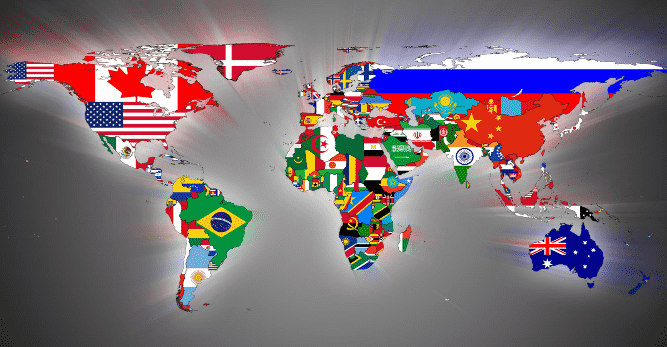 ESL worldwide school directory: We will send you a directory of approximately 8,000 schools worldwide that you can contact directly regarding employment opportunities. Looking for more support getting set up to live in Costa Rica, and a guaranteed job placement before you arrive? Check out our Teach English in Costa Rica program. Taking the TEFL Course in Costa Rica is the perfect way to find work there in a paid English teaching position upon completion of your course. There is a large demand for TEFL/TESOL Certified Native English speakers in Costa Rica. Finding a job in Costa Rica almost always requires that the English teacher is already in Costa Rica. Teachers find work by visiting language schools and interviewing in person. Students who take the course in Costa Rica are in a unique position of being in the country for a month before looking for a job. They also have the opportunity to earn a personal job referral from course staff, who have longstanding relationships with schools around the area. During your course, you’ll have the opportunity to use the staff as a resource and connection for finding paid teaching jobs in Costa Rica. Almost all paid teaching positions in Costa Rica are in English language schools. Most teaching positions will be located in and around San Jose in the Central Valley. There is a much higher demand for teachers in this area, as it is where most of the English language schools and international corporations are located. It is possible to find work in smaller towns or near the beach, but teachers should expect the job search to be more challenging, and should plan for it to take longer to find and secure work (and to have more money to last until your first paycheck). In the language schools, you’ll be teaching adults, and hours will be mostly evenings and weekends. Most teachers should expect to work Saturdays, with Fridays and Sundays off. You may need to travel to get to your classes, as many language schools offer classes to businesses. In these cases, you may be going to the business itself to teach your class. There are some elementary school positions working with children. Hours for these positions would be during school hours, Monday-Friday. Costa Rica is considered a “break even” country. Teachers will be able to earn enough money to live off of if they are working enough hours per week. Teachers should expect to live frugally and bring additional savings to travel or supplement their income. The Costa Rica TESOL training school the best place to study because it is owned and operated by real English teachers, who know firsthand what it’s like to be in your position. They are all English teachers who have experienced the amazing things that ESL teaching provides, as well as the negative aspects. The staff understands your excitement and enthusiasm, as well as your worries, fears and doubts, and will go the extra mile to address them all. are still in school, but want to teach English when you graduate. Get qualified now! Do I qualify to take this course? Students must be 18 years or older, fluent in English, and have a high school diploma. Your teacher is guaranteed to have at least 10 years of experience. The instructors are the course’s greatest assets! What is the job placement assistance like? During the course, staff will assist you with the creation of an ESL resume and cover letter, and provide you with detailed information regarding what you can expect when applying for jobs around the World. You will also be provided with a detailed Costa Rica ESL School Chart that includes contact info, hiring seasons and the inside scope on what are the best ones to apply to. For those looking for jobs elsewhere around the world, we’ll put you in contact with graduates currently teaching around the world. Which course dates are the best to align with the main hiring season in Costa Rica? The three best courses for job hiring seasons are the January, May and November courses, but positions can be found year round. Will I be able to find a job teaching English in Costa Rica once I’m done with my course? We do not guarantee job placement after your course, but 90% of the course graduates find work in Costa Rica. We can guarantee that staff will make the extra effort to find you the job you want. Most TESOL schools have a list of phone numbers and emails, which they print off for their grads and say, “Here you go. Good luck.” Our school has strong relationships with many schools throughout Costa Rica, and we will find out which of them are hiring, and put you in contact with them. Plus, the TESOL training center has its own ESL school, with 3 locations that hire teachers. Course graduates get priority for these placements. Luckily for our students, the training center is located within 20kms of 90% of the English schools in Costa Rica. Making contacts, scouting out schools, getting established before you graduate, meeting teachers, and seeing early where you’d like to live and work WHILE taking your TEFL course gives you a leg up on landing a job after you graduate. Use our central location to your advantage! The Costa Rica TESOL Course was founded by ESL teacher’s that have over 20 years of experience teaching English in Costa Rica. Your trainers have contacts in the major ESL schools around Costa Rica, universities, and even access to some public schools (although it is tricky getting a job with the government). We understand that many people don’t feel comfortable moving to Costa Rica without a guaranteed job. If you’d like a job arranged and guaranteed in advance, along with some additional structure and support, check out our new Teach in Costa Rica program! Is this course valid and accredited? Yes, it is. This course is internationally accredited and recognized, and it exceeds international standards for professional level TEFL Certification (most accredited TEFL courses run 106-120 hours) as set forth by the British Council and other leading bodies in the international field of TEFL. Exceeding International Standards: This course not only meets these standards, but exceeds them. With 150 hours of training, this course exceeds the industry standard by 50%. This course meets the highest international standards and are accredited and externally monitored by leading international accrediting bodies in the field of TEFL/TESOL. The course curriculum is accredited by The International Accreditation of TESOL Qualifying Organisations (IATQuO). IATQuO is an independent accrediting body that exists to promote and maintain internationally acceptable standards in the training of teachers of English to speakers of other languages. IATQuO provide initial and ongoing external validation/accreditation services to training organizations who request them. This course is internationally accredited and recognized, and it exceeds international standards for professional level TEFL Certification (most accredited TEFL courses run 106-120 hours) as set forth by the British Council and other leading bodies in the international field of TEFL. What content does the course cover? What is the job market like in Costa Rica? Costa Rica is one of the most developed countries in Latin America, and that is due to the large amount of foreign companies moving there to provide their services, like Intel, IBM, Western Union, HP, Oracle, just to name a few. This has made mastering the English language necessary, opening the doors to countless ESL schools. This is all excellent news for English teachers wanting to move to Costa Rica and teach English. Heredia and the community where the school is located are extremely safe, and there are always families and people of all ages strolling about well after dark. If you choose to work in San Jose once your course is finished, you do have to be more careful. Parts of downtown and San Pedro have more tourists and more crime, so precautions are necessary. It is a capital city and like all capitals, there is a higher crime rate. However, it’s not as bad as other big cities in the US or Europe. What can I expect when teaching English in Costa Rica? Monthly salaries range from $400-$750 USD per month. This is considered a “break even” ESL teaching destination. With enough hours, you should be able to support yourself while living in Costa Rica, but you should not plan to save extra money. In fact, it is recommended that you bring some extra money to help support you while you are living in Costa Rica. The peak hiring season is December/January and the end of June to mid-July. Teaching hours are typically 15-25 hours per week, and contracts are usually 6 months to 1 year. Teachers work on a tourist visa that needs to be renewed every 90 days. Heredia and the community where the school is located are extremely safe, and there are always families and people of all ages strolling about well after dark. I feel much safer walking around at night here than I have in any of the cities where I’ve taught. If you choose to work in San Jose you do have to be more careful. Parts of downtown and San Pedro have more tourists and more crime, so precautions are necessary. It is a capital city and like all capitals, there is a higher crime rate. However, again it’s not as bad as other big cities in the US or Europe. Will I be able to learn Spanish during the course? Everyone learns at their own pace, but taking your course in Costa Rica is a great way to learn or perfect your Spanish! The training center is part of a local community, which means you’ll get to know lots of “ticos” and have a lot of opportunities to practice the language. We highly recommend staying with a host family if you are interested in practicing your Spanish! Is it easy to get around Costa Rica? Because a large portion of the population uses public transportation, the CR bus system is much more efficient than those found in the US and Canada. Buses run frequently, usually passing every 5 or 10 minutes, so unlike in Canada, missing a bus does not mean waiting 35/ 40 minutes for the next one. A trip from our school to downtown Heredia takes about 10 minutes and costs 35cents. Taxis are also a cheap convenient way to travel especially at night. Also at Intesol we provide phone numbers of taxi drivers who work directly with the school, are very friendly, and can be trusted to give teachers excellent service. Prearranged pick ups can also be set up through the school. We also provide the service of borrowing a bicycle free from the school for your time here, if you prefer that way of getting around. Select the APPLY NOW button to the left. Once complete, you will receive a link in your email for the second part of the application. Fill out this simple form to register for your course. A $750 deposit is required to reserve your spot in the course. The remaining balance will be paid directly to the school. Once you submit your registration form, you’ll receive a link to pay your $750 deposit. After you submit your deposit, you’ll be contacted directly by school staff to arrange your housing and arrival details!